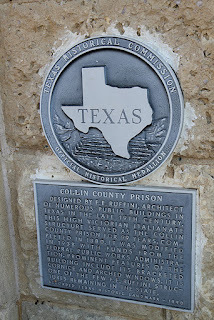 Collin County had its own tiny little prison. 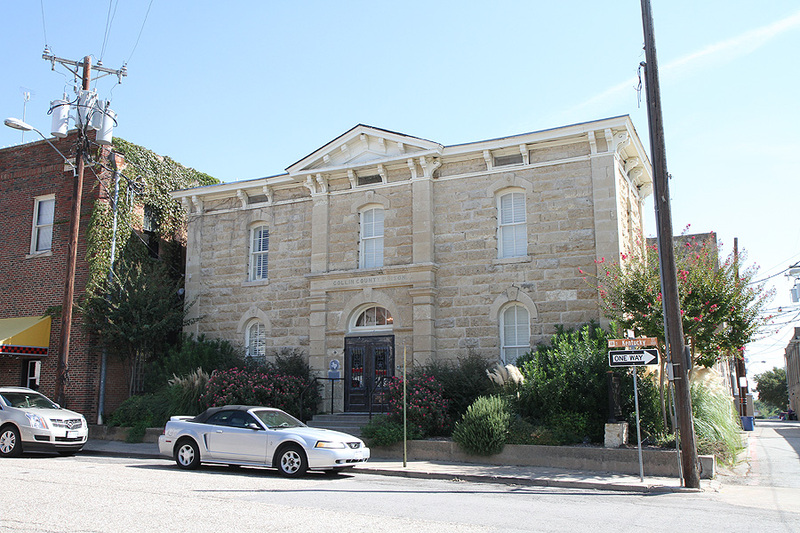 The historic building is still standing and can be found next to McKinney's downtown square (which, as you may recall, was the setting for the climax of an early episode of Walker, Texas Ranger). Some of its famous residents include Frank James and a member of Bonnie & Clyde's gang. Despite all this, the building's historical marker is all about the architecture and touts that it is one of the few buildings designed by F.E. Ruffini that is still standing. "Designed by F.E. 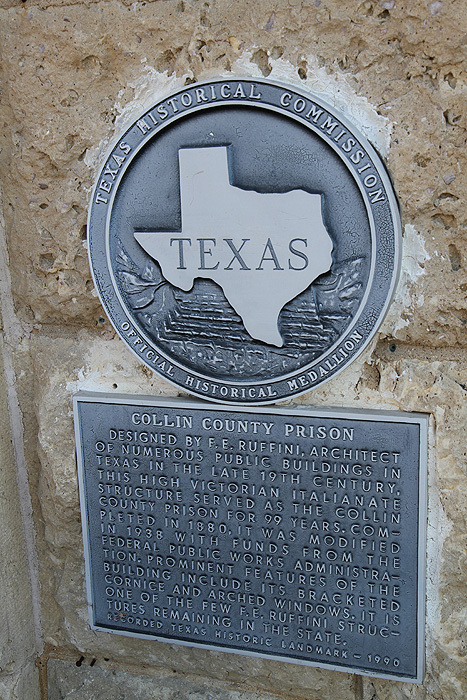 Ruffini, Architect of numerous Public Buildings in Texas in the late 19th century, this High Victorian Italianate structure served as the Collin County Prison for 99 years. 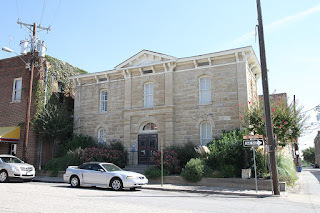 Completed in 1880, it was modified in 1938 with Funds from the Federal Public Works Administration. Prominent features of the building include its bracketed Cornice and Arched Windows. It is one of the few F.E. Ruffini structures remaining in the state." Dinosaur Sighting #3 - Dance Party!